Owing to the immense experience in this domain, we are providing an excellent range of Pakistani Suits. We Deals in all kind of pakistani Suits like Maria B, Moti Fashion, Tawakkul, Boroque, Ramsha, Sana Safina etc. We are one of the well-distinguished companies in the market that are offering Pakistani Suits. 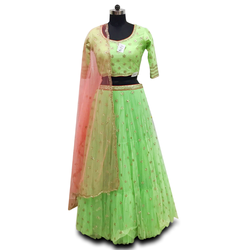 We are the leading manufacturing, exporting and supplying for Designer Sarees, Suits, Lehenga, and kurtis we deal in all kind of varieties. Blue Colour Georgette Fabric Embroidered Pakistani suit. You can purchase bulk qty, so we will discount you.